Situated at a distance of 43 km from the Bondla Wildlife Sanctuary, 2 BHK Apartment with Pool View offers complimentary breakfast service and free Wi-Fi access to its guests. 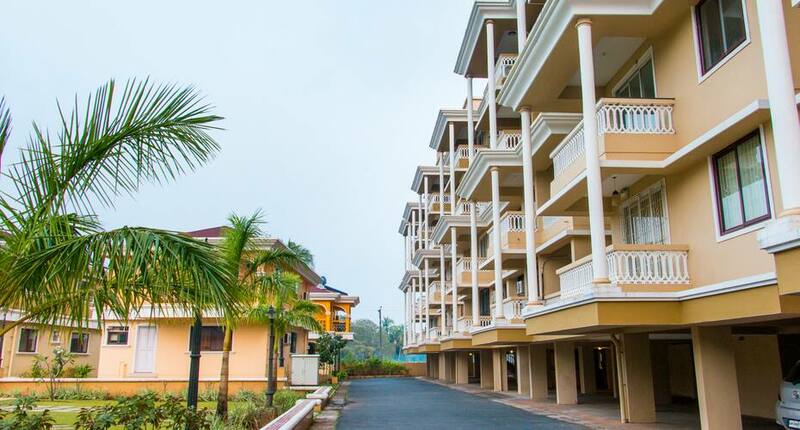 The resort in Goa is accessible from the Goa International Airport, which is 29 km away.The resort has a 1 spacious room equipped with basic conveniences like AC, fan, spare mattresses, iron, satellite/cable TV, hairdryer, bedsheet, balcony and western toilet with shower hot water facility. Additionally, the property has a kitchen (fully functional), microwave, refrigerator, cookware, kettle, pots, pans, stove and toaster.2 BHK Apartment with Pool View provides various facilities that include swimming pool, kids pool, restaurant, washing machine, garden/lawn, oven, power backup generator and parking facility (nearby). Cook on call, water filter, pick-up/drop facility, laundry dry-cleaning service and clothes dryer are a few of the conveniences guests are offered.The resort in Goa is accessible via travel hubs such as Thivim Railway Station (61 km) and Madgaon Railway Station (9 km). Places worth a visit include Museum Of Christian Art (40 km) and Big Foot Goa (18 km).